As we move into the winter months here in the Northeast temperatures are starting to drop. 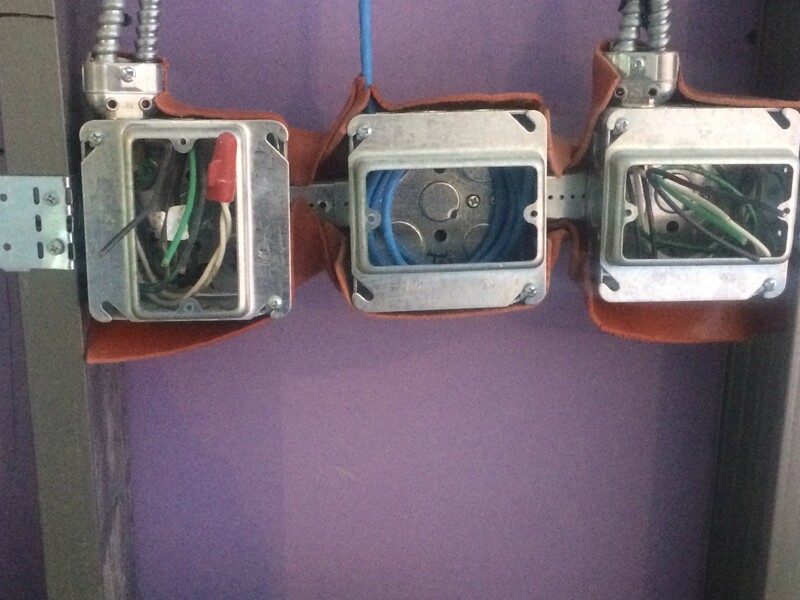 And as we know, when that happens everything on a job site gets cold, in particular, metal electrical boxes. Freezing temperatures can cause some putty pads to do what you see in the picture below (photo credits to Mark Nunn). Now someone will have to go back and fix the situation, in the name of life safety and code compliance… And that is going to cost someone time AND money! Introducing…SpecSeal® PowerShield® electrical box insert… A one-component pad for use in electrical switch or receptacle boxes. Requiring no tools, SpecSeal® PowerShield® electrical box inserts are conveniently sized to fit typical switch or outlet boxes. It features an adhesive strip applied to the back of the pad to ensure adhesion to the back of an electrical box. 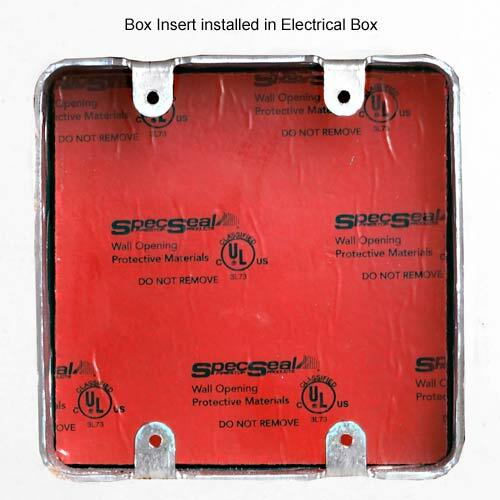 SpecSeal® PowerShield® electrical box inserts are easily applied into an existing box with no mess or residue. Easy installation! Just peel and stick to inside of box. Can be installed before or after wall is closed. Low profile for minimum impact on box volume. Tested and proven acoustical properties. One step installation saves time and labor. This entry was posted in Uncategorized and tagged code compliance, firestop, life safety, putty pads. Bookmark the permalink. Reblogged this on South Beach Fire Prevention.